The Days of Johann, an agility dog! : Now we're talking Spring! Spring has finally arrived on the mountain! 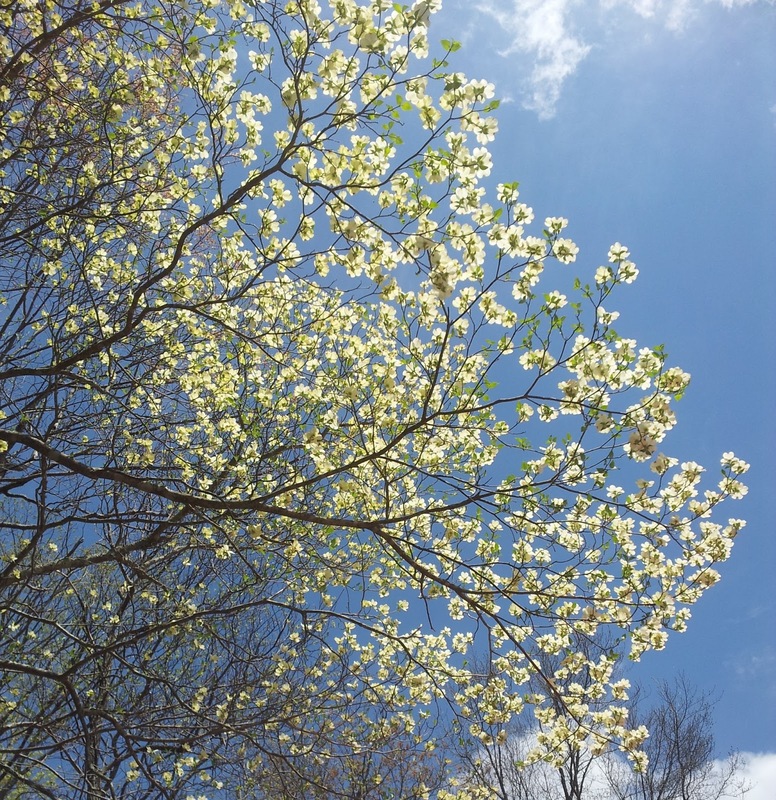 Here is the beaUtiful Dogwood that's right in front of our cabin. We're showing off the underside because it's so tall! The Cherry Blossom is just beginning to open up! 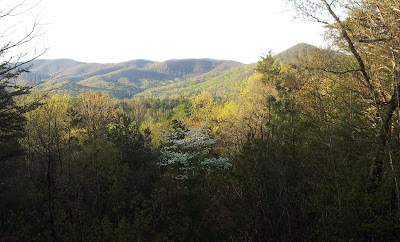 And, you can see the green slowly making it's way up the mountains. Another one of the most beautiful Dogwoods just down our ridge. And who couldn't resist, Gracie, a dog with Dogwood!